What Should New Parents Expect? While living through pregnancy or plans for adoption, new parents tend to be both excited and worried, not knowing what to expect. There's so much to learn and so much wanted and unwanted advice, it's easy to get uneasy! 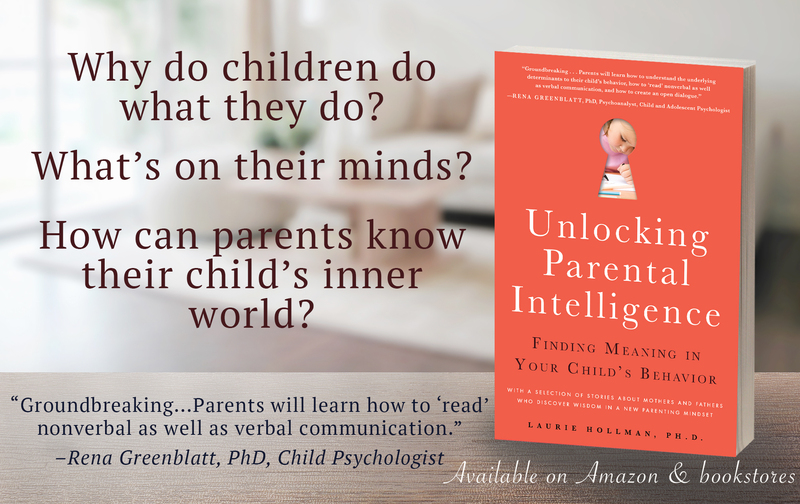 I wrote my book Unlocking Parental Intelligence to address some of those universal questions parents have: "Why do children do what they do?" and "What's on their minds?" From the newborn months to the pre-teen years, I speak around the country addressing the "why's" and "what now's." On May 11, I'll lead a discussion with new parents at Raising Astoria in Queens, NY about the meaning of behavior, learning what their kids think, want, intend, and feel. Here are a few tips for new parents about what to expect when baby comes home and how to plan for the unexpected. 1. Share your worries with Google and a friend. How do you pick up a baby? What should I bring to the hospital or first meeting with my adopted baby? 2. Discuss co-parenting with your partner. In two-parent households today, it is more common for the pregnant mother to share parenting with her partner. Dads are more involved today and some resent being called "the helper" or the "babysitter" so be mindful and empathic moms! Think ahead about whose good at doing what from laundry to getting up in the middle of the night. Share your knowledge without judging each other while also sharing the thrill of what's to come. 3. How do you handle sleep-deprivation? All parents know the first few weeks and months are exhausting until the baby gets on a reasonable schedule that can be mostly counted on. If you're a two-parent household share in the night time awakenings the best you can. Make this a civilized topic of conversation--no irritable yelling allowed! Nap if you can when your baby naps and tolerate the frustration each parent has about this exhausted state you find you're in. 4. Let people help you. Consider all offers of help. Choose the nonjudgmental people that surround you who are willing to do cooking, cleaning, shopping, playing with the baby while you sleep. People love to feel helpful and it doesn't hurt your pride that you can't possibly (!) manage everything. 1. Find local parenting groups where kids can play while parents visit. This is a great opportunity to meet other parents and help your kids learn to socialize with you in the background or foreground as needed. You'll find out that other parents are struggling and feeling shattered about not knowing how to do everything and finally you don't feel so alone with all your questions. Doubts fade and friends are made, sharing the wonders and troubles of parenting toddlers and three and four-year-olds. 2. Listen to advice but trust what feels right to you. Preschoolers grow mentally and physically at very different paces. Good advice for one mom is not for another. You know your child the best, so trust your gut in the end. Also, don't be afraid to gently tell others when their advice is actually not needed; you and your child are doing fine, but thanks. 3. Be kind and compassionate with yourself. Parenthood is a tough job. Give yourself a break. Praise yourself when things go well and keep cool when you lose your cool! 4. Hold on to your pre-parenting identity. Remember that woman or man pre-children? She or he is still inside you. Don't let her or him fade away. Find time to enjoy your interests, get babysitters, share time with your partner without kids and you'll be rejuvenated when you return to parenting. No one can tell you ahead how hard parenting can be. They also can't tell you how rewarding it becomes. Hang in there. The joys keep coming!! Invitation: Come to Raising Astoria at 26-11 23rd Ave., Astoria, NY 11105, Wednesday May 11, 6:30-8 PM. Raising Astoria is a community and education center where author Laurie Hollman, Ph.D. will lead a discussion and sign her new book, Unlocking Parental Intelligence: Finding Meaning in Your Child's Behavior. Dr. Hollman will answer questions of new, seasoned, and soon-to-be parents and discuss the behaviors you're wondering about. All parents are welcome to this free event with books available for purchase through the Astoria Bookshop. Register here.